This is one of the things that most women get confused with. Knowing the difference between setting powder and finishing powder. What exactly is the difference between these two powders? Setting powder is to hold your foundation in place. This is to make sure that your foundation doesn’t fade too fast. It also prevents the foundation to be rubbed off and to reduce the shine that most foundations have. The finishing powder is used on the finished product. When you are done with doing your makeup. The finishing powder looks completely different than the setting powder. This powder isn’t for daily wear, but only if you are in front of the camera. The setting powder is for everyday use. Why do you need setting powder and finish powder? When should I use setting powder? Is setting powder and banana powder the same thing? What’s Better Pressed powder or Loose powder? Should I Use a Translucent or Colored Powder? Now that you know the difference between setting and finish powder, now you might have another question. Why do you need to have these two powders in your makeup kit? Especially, with the finish powder. The finish powder should be used when you know that you are going to a family photoshoot or when you are in front of a camera. This is because the finishing powder is making sure that your face isn’t too shiny. You can’t use it all the time, or on a daily basis, because it can dry out your skin. Especially, if you have dry skin. The setting powder is one of the more essential makeup equipment that you need to have. If you are wearing foundation, you should make sure that you are using this powder as well. This is to ensure that your foundation is staying on as long as possible and that it doesn’t get rubbed off when you are applying the other makeup onto your face. When should you use setting powder? As we mentioned before you should use it after you have applied your foundation. But, this doesn’t mean that you should apply the powder on, every time that you are doing makeup. If you know that your makeup should last throughout the day, like on a working day, then you can use the setting powder. However, if you are just going to town, and purchase a couple of things, then you don’t need to put on the powder. 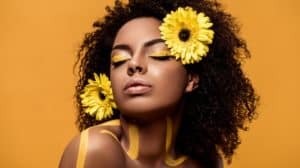 There are some of these powders that are drying your skin out, so adding it to your face, for just a short period of time, is a waste and damage your skin. There is good quality setting powder and there is some bad quality setting powder. How do you know which powder you should purchase? What are the qualities of good setting powder? The cheaper the price, the lower the quality the powder will be. 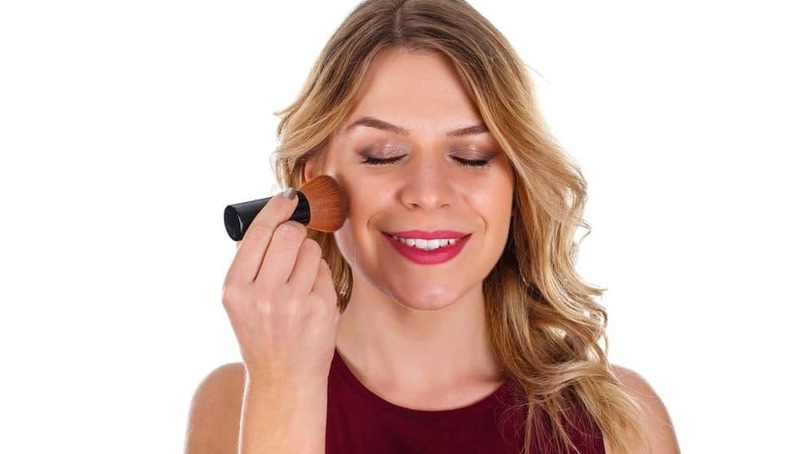 The pressed powder is much better to apply as the loose powder because it is messy and you will lose lots of powder when applying the powder to your face. If the powder is shiny and it seems like “cream” in the powder case, then you can know that this is the cheaper version, and you should not consider purchasing it. Another way that you can know that the setting powder might be low quality powder is if you are testing it on the back of your hand and you find out that it doesn’t stick correctly. It fades immediately and it looks like, you didn’t have any powder on your hand. Good setting powder won’t break when it slips and fall out of your hands. The cheap powder will crumble and break into millions of pieces. It is important to know that setting powder and banana powder isn’t the same type of powder. The banana powder is more like the finishing powder than the setting powder. Many people are getting confused between setting powder, banana powder and Finish powder. You can get the banana powder mixed so that it looks like your skin instead of the normal finish powder that you might know about. The banana powder is just a brand name for the finish powder. A question that many other women has, that you might have as well. What is really the better powder to purchase. The pressed powder or the loose powder. Most women are purchasing the pressed powder, just because this is something that most women are familiar with. But, just because you are using something that you are familiar with, doesn’t mean that this is the best option. Loose powder is stored in a jar and is made from a smaller consistency. It can be messy to use and isn’t ideal to carry with you in your purse. This is something that should rather stay at home. However, there are some great benefits of using loose powder over pressed powder. It applies a lot better and thinner than some of the pressed powders. At the end of the day, it doesn’t matter if you are using pressed or loose powder. They are both equally great, and you should try both, before you can decide which one is best for you, personally. Women are getting confused between purchasing translucent or colored powder. They don’t really know which one to purchase. The thing that you should make sure about, is if you are looking for setting powder or finishing powder. The setting powder is normally the colored powder. One that is the closest to your skin tone or to the foundation that you have applied. If your foundation is too dark, a lighter powder can make your foundation look lighter and more natural. However, this doesn’t mean that you can’t use translucent powder if your foundation is the perfect shade to your skin color. The finishing powder is normally the translucent powder. This is because this is a powder that you are applying after your make up has been applied. Meaning that there will be different colors on your face. By adding a colored powder on top of your makeup will let you look funny and colorful. There are a couple of setting powder tips that you should know, in order to apply the powder correctly. This doesn’t matter if you are using the pressed powder or the loose powder. With these applying tips, you will always look professional. If you think that you don’t need a setting powder, then you are mistaken. This is the only way to make sure that your face isn’t shiny when you are done applying your makeup. It is always best to get your setting powder as close to your foundation color as possible. This will make your makeup look more professional. However, there isn’t anything wrong with using translucent powder as well. It is a great idea to make sure that your setting powder is with you at all times. Then, you can touch up your makeup by just using your powder. It will take the shine away again, and it will assist with a sweaty face if it is hot outside. You don’t need to use all your makeup again. Only the powder will do. 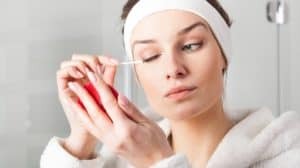 To get the best results, it is important to make sure that you are purchasing the best quality powder. The better the quality, the longer the powder will last. As said before, it is important to make sure that you are using the right quality powder. This is why you should make sure that you know how to find and purchase the right powder for your face. The first thing that you should make sure about, is the price of the powder. The more expensive the powder, the better the quality will be. You should also make sure that you are researching different brands. You don’t want to use a brand that might clog up your pores. You can also get some great advice about what type of powder to purchase from a professional. Each skin type has its own powder to use. This is the best way to make sure that you are purchasing the powder that is designed for your type of skin. We are tempted to purchase the cheapest products that we can find. However, this isn’t always recommended to purchase the cheapest powder. Because you are using it every day, you need to purchase a high-quality powder. A powder that will last throughout the day. Setting powder and finishing powder. Is there a difference between these powders, and which one should you choose to use? With this guide, you will now know everything there is to know about setting powder and finishing powder. You will know the difference, which one to use when, and even know how you can find the best one for your skin. The only thing that we want to emphasize is the fact that the higher the quality powder, the better it will be on your skin, and the longer lasting it will be.